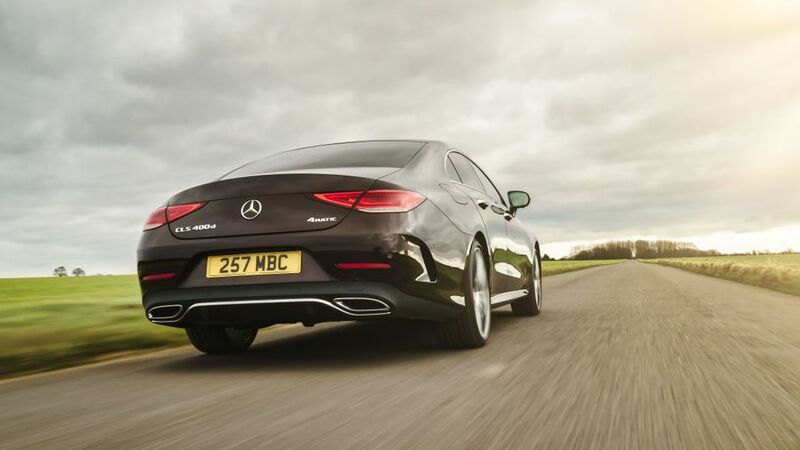 The CLS is an excellent luxury saloon with a bit of extra glamour, thanks to coupe-like looks. 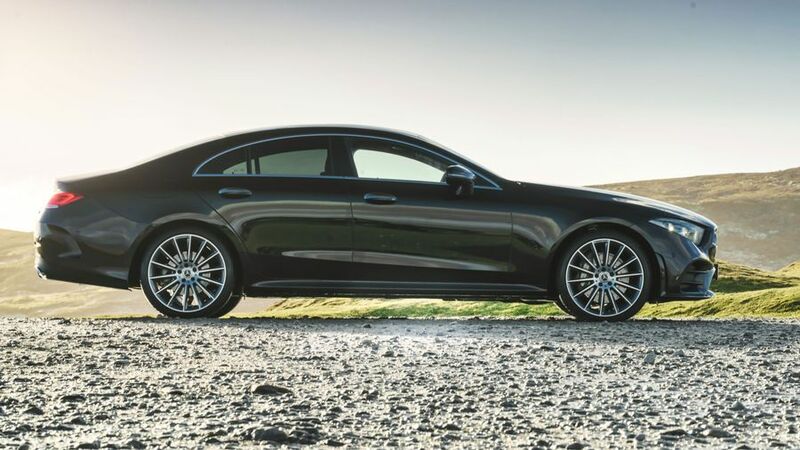 These do have a negative effect on rear headroom, and there are some small worries about reliability, but the CLS is comfortable, well made, crammed with technology and impressively relaxed and confident to drive. Interested in buying a Mercedes-Benz CLS? Is the CLS a looker? We’ll let you be the judge of that, but it mixes coupe looks and saloon practicality well when it comes to the styling, with a sweeping roof line at the back. In the UK, non-AMG versions of the CLS come in just one trim, called (slightly confusingly) AMG Line. 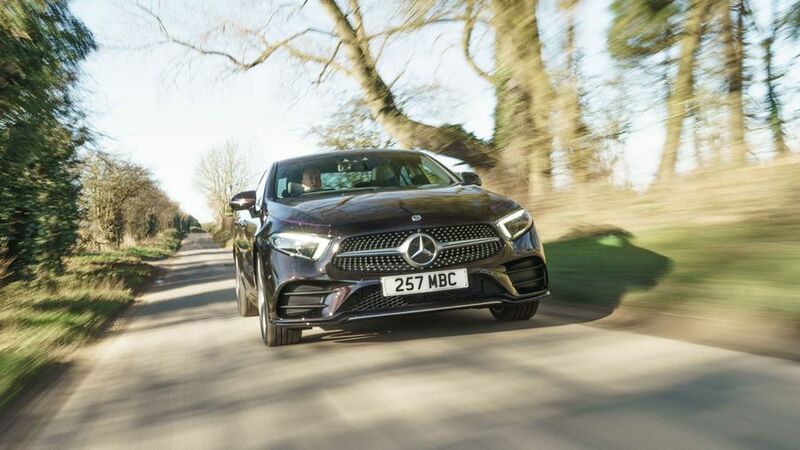 This means even the entry-level car has 19-inch alloy wheels, a sporty-looking bodykit and, impressively, Mercedes' Multibeam lighting system. This uses an array of LEDs in each headlight to enable you to have high beam on at night, while sensors track oncoming cars and put them in shadow to avoid dazzling them. It’s a system that’s been around a couple of years, but is usually an expensive option, so it’s nice to see it as standard, and it works very well. The interior of the CLS is generally excellent. The build quality is not quite as rock solid as Audi's A7 Sportback, with a few hard plastics dotted around if you look for them, but overall it’s still very good. The design is funky and contemporary, and the configurable mood lighting that runs around the cabin and even in the air vents is a nice touch, with virtually all colours of the rainbow available. So, if you fancy driving through the night while bathed in hot pink light, you’re in luck. The seats are very comfortable and adjust in all manner of ways, and while the infotainment system will require some time spent to understand everything it can do – and it can do a lot – we’ve found it straightforward to operate using a dial and touchpad between the front seats. The CLS is a large car, but the swooping roof line means limited rear headroom for taller adults, something that’s not such an issue in the Audi A7 Sportback. However, legroom is decent, and there are plenty of places to keep stuff around the cabin, with two good-size cupholders, sizable door pockets and a storage space under the central arm rest. 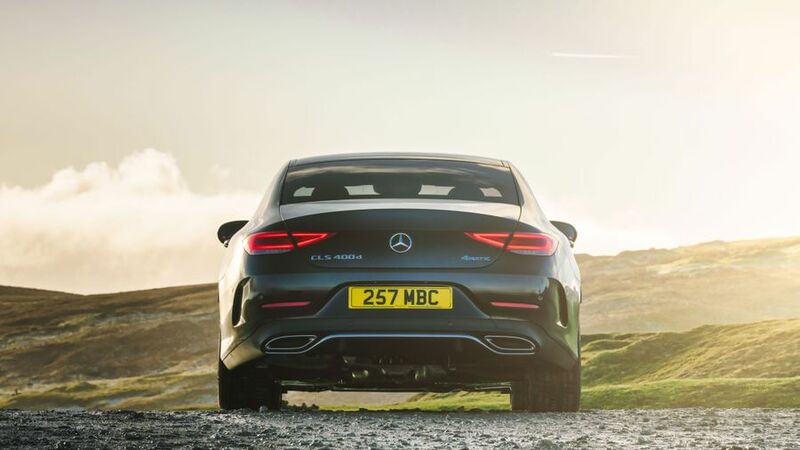 The boot is impressively large, although it uses a conventional saloon-style boot lid, which means the space is not as accessible as with the A7’s hatchback. On its standard suspension, the CLS feels more or less what you’d expect a big Merc to feel like. The ride is soft and cosseting, which means you stay comfy on most kinds of road as you waft along, and it’s particularly good at soaking up the effects of pitted, rippled surfaces. It’s only really big bumps and potholes that’ll cause the suspension any trouble, but on the rare occasion it does get caught out, you do feel quite a whack. Despite the softness, the body doesn’t lollop around too much in bends, either, but it still feels like a big, heavy car when it’s changing direction. Even so, the steering has plenty of weight to give a feeling of solidity through the corners, and it all adds up to a very pleasant, comfortable and relaxing drive. We’ve also had a shot in a CLS fitted with the optional air suspension, and it’s even better. The ride feels just as smooth but vertical movements are more tightly controlled, and the reduced body lean it gives you in corners makes the handling a bit tidier. However, we’re not sure the air suspension is sufficiently superior to justify the vast amount extra you’ll have to pay for it. For most buyers, we reckon the standard suspension will be more than good enough. Whichever suspension setup you plump for, though, the CLS delivers a more polished dynamic experience than an equivalently specced Audi A7. The best-selling version of the CLS is likely to be the diesel-powered 350d, which has a not-inconsiderable 286 horsepower. 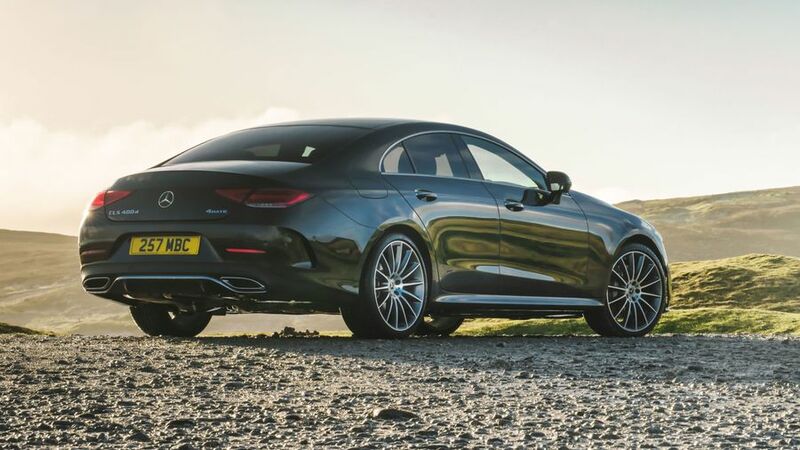 It’s a strong, effortless engine that makes for easy progress, and the nine-speed automatic gearbox, which is found across the CLS range, is seamless in its shifting. If you want more grunt, then a more powerful version of the same engine, called the 400d, will give you 340 horsepower, which is enough for even more rapid propulsion. For most people, the 350d will be more than enough as it never feels underpowered, but if you’ve a hankering for extra brawn, then the 400d is impressive. Importantly for a car like this, both of the 3.0-litre V6 units are quiet and silky smooth. The mainstream petrol options include a 299 horsepower four-cylinder 2.0-litre in the CLS 350, and a 367 horsepower 3.0-litre V6 in the CLS 450. We haven’t had the chance to try either of those yet. We have, however, tried the fire-breather of the range, the CLS 53, which comes courtesy of Mercedes’ tuning department, AMG. It houses a 3.0-litre, six-cylinder unit under the bonnet, producing 435 horsepower, and that power means serious performance. While it’s undeniably quick, though, it doesn’t have the brutal, savage delivery you might expect if you’ve tried other AMG products. 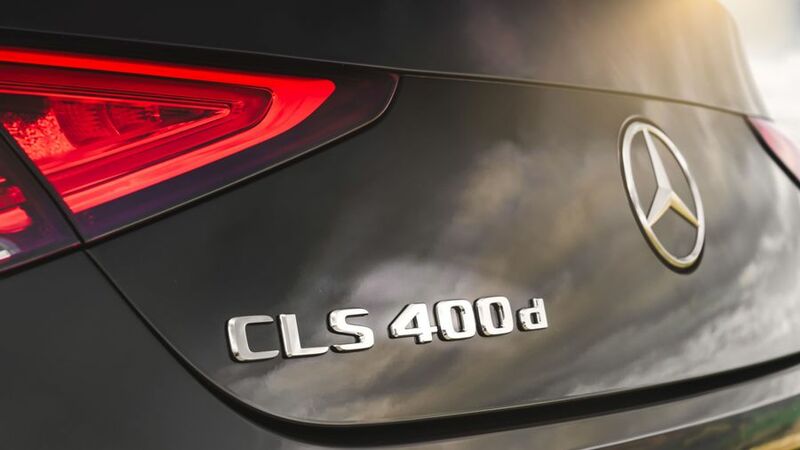 Both the CLS 53 and the CLS 450 feature something called EQ Boost, which is a small electric motor that adds 22 extra horsepower for short periods. It doesn’t make the CLS a full hybrid car, but gives you an instant shove of grunt when you put your foot down. This is a luxury car and expect to pay accordingly. But for the market it targets, the CLS looks like good value. The CLS 350d, which will likely be the biggest seller, is fractionally cheaper than the equivalent Audi A7 Sportback. Both claim exactly the same combined fuel economy, sit in the same insurance group and are expected to cost the same to service, maintain and repair, so they’ve very evenly matched. However, the Mercedes has a considerable advantage when it comes to expected resale value, which will likely make it cheaper to run overall. The CLS is a new model, so no data yet exists for how reliable it is. Data from Warranty Direct doesn’t paint a particularly rosy picture for Mercedes as a brand, with below-average reliability among other manufacturers, based on historic performance. 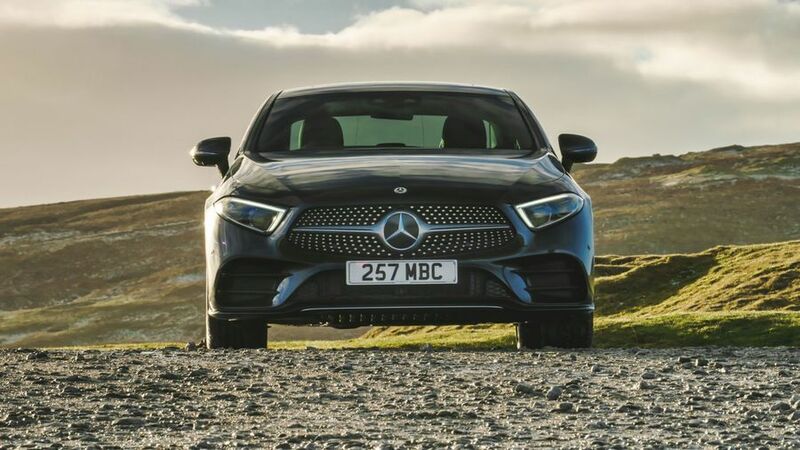 It’s slightly better in the more-recent 2018 Vehicle Dependability Study, conducted by JD Power, in which Mercedes performed a little better than the industry average. The CLS hasn’t been crash tested by safety organisation Euro NCAP, but all recent Mercedes models that have scored the maximum five-star score, and we have no reason to suspect the CLS wouldn’t, too. 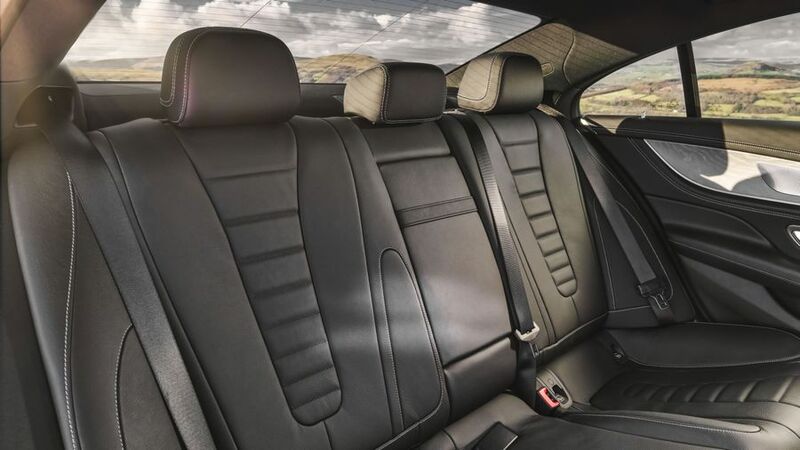 All versions include seven airbags as standard, two Isofix child seat mounting points in the back, and automatic emergency braking, which will warn the driver of an impending accident and brake automatically if no action is taken. Lane keep assist is also included, which warns you if you’re unintentionally drifting out of lane, and nudges the steering to bring you back. If you’re willing to pay (quite a lot) more, you can add an option pack (which is standard on the CLS 53) which adds a whole bunch of driver assistance systems that pretty much drive the car for you in certain circumstances. 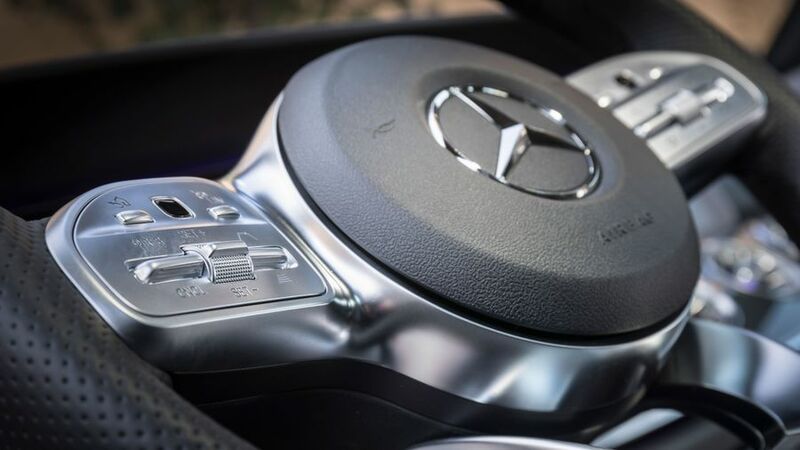 With only one trim level available, you get an impressive array of features included as standard, including electric seats, leather upholstery, keyless entry and engine start/stop via a button on the dash, and a digital dashboard in place of traditional, analogue dials. Opt for the Premium Plus package and you can add a sunroof and a 360-degree parking camera that gives you a handy bird’s-eye view of the car’s surroundings. 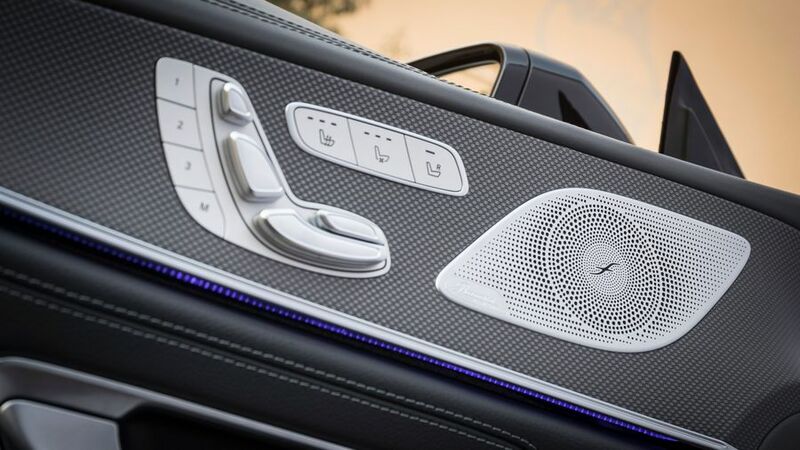 There’s an upgraded Burmester sound system too. The Comfort package adds the air suspension system, and even an interior fragrance dispenser. Mmm. 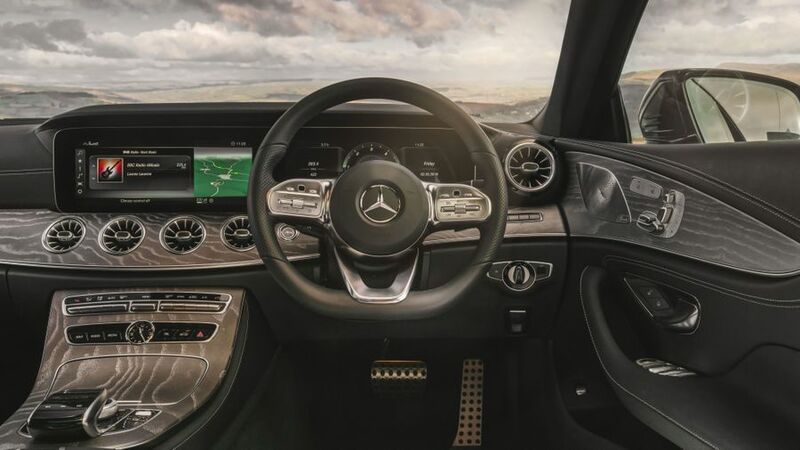 The CLS is an excellent luxury car with a lavish interior and plenty of state-of-the-art technology. It offers a more wafting driving experience than Audi’s A7 Sportback while retaining a sense of solidity on the road, and it’ll cross country very quickly and with supreme confidence if you want to put your foot down. The styling means headroom in the back is compromised, which is worth bearing in mind if you’ll be ferrying adult passengers. But if a stylish, large luxury car is what you’re after, the CLS should be high on your list.